Ruth Davidson seems to be doing a reasonable job. Seems very normal for a Scottish Tory. That is a very strong result for the Conservatives, although can largely be explained by a low turnout. I have Almond and Earn going SNP with a vote share of 40% to 37% Conservative in 2015. Keep in mind that Almond and Earn forms part of the Ochil & South Perthshire constituency, so it may well be that some degree of tactical voting took place in the area (plus a personal vote for Gordon Banks). Really good result for the Tories here and really bad for the SNP. I imagine their shift to the left might be starting to come back to bite them in their traditional heartlands in the north east of Scotland. That does seem to be the case. There were even bigger swings against the SNP in Abedeenshire East, Salmond’s old seat and broadly equivalent to his current Westminster seat. On the TV coverage somebody remarked that the difference between this year and last is that they’d lost much of their ability to get No voters to vote for them. Sturgeon may regret talking up Indyref 2. It’s possibly also a sign that the SNP is going to struggle to appeal to the working-class central belt while maintaining its support in areas like these. Voting coalitions can only stretch so far. Salmond must have had a big personal vote in Aberdeenshire East though. He got over two-thirds of the vote in 2011 – the SNP’s safest seat at that election IIRC. Very true. It’s remarkable how eg 4,000 voted Tory to Labour’s 7,000 in a couple of the Glasgow seats. Plus 2 Tory MSPs in the Glasgow region vote as well as gaining Eastwood. Although I realise for different reasons (ie middle class Jewish votes in Eastwood and wwc Orange votes in Glasgow proper). I spotted a new Orange Unionist outfit in Glasgow polled 2,500 votes as well. It seems the Unionists are beginning to organise and turnout. Although proportional voting helped then in one of those results compared with the SNP winning under FPTP at the General with mainly Yes voters. They were probably very close to the ceiling of potential Tory voters to be honest. If you still voted for Labour on the list this year there probably aren’t any circumstances under which you’d abandon them. To be fair, the Tories have had respectably sized groups on most of the relevant council areas since PR was introduced for local government. Principled opposition to upgrading the local leisure centre is probably not as much of a vote winner as principled opposition to the SNP and independence. It’s striking just how badly the SNP did in its rural north east seats: down 9.1% points S Perthshire, 9.1, , N Angus, 9.5 in S Angus, 11.7 in Moray, 12.1 in Banffshire, 12.3 in N Perthshire, 18.7 in E Aberdeenshire. There is something slightly odd about rural, reasonably wealthy, largely Unionist seats voting SNP. I suppose it is a measure of how well the SNP has done at being all things to all people and how tarnished the Conservative party’s image became. Whether the Conservatives can start getting back into contention in these places at Westminster is an interesting question. Part of the decline is because the SNP did ridiculously well in the North East in 2011, when things were slightly less polarised. I think it’s the only occasion that a party has swept the constituency seats and still won a list seat. Now that voting intention is much more closely aligned with people’s referendum vote, a significant unwind, if not to this extent, was to be expected in these seats. Well that’s easy to say after the event. I don’t think too many people were predicting it at the time. SNP strength in the North of Scotland can really be traced to the two GEs in 1974 when previously safe Tory seats went SNP: East Aberdeenshire, Banffshire, Argyllshire and Moray and Nairn in February; then joined by Perth and East Perthshire and South Angus in October. At this time they positioned themselves less clearly on the left than today, at least when contesting seats in the north, and much of their success was based around campaigning for Scotland to keep the benefits of North Sea oil revenue. @Tory Well, most people didn’t see any of the seats as being targets this time round so there wasn’t much discussion beforehand. There were obvious discrepancies between the SNP score and the Yes vote in the referendum in this part of the world. As politics remains very closely linked to people’s views on the national question in Scotland these days, its hardly a surprise that the SNP vote would tick downward, even iwhen their overall performance was static or slightly better than 2011. I think the surprise was more how rapid the correction seems to have been. Nonetheless, I think further progress may be more difficult for the Tories, given that most of the remaining SNP supporters are likely to be pro-independence voters. Roseanna Cunningham has never had a great reputation as a campaigner, and I know that, in the past, the SNP often worried about whether they would hold her seat or not. I guess there’s a fair chance she won’t be standing again next time in any case. The thing with the 1974 elections is that the SNP were then heavily punished in 1979 after they withdrew support for the Callaghan government. So how did they get those seats back? Because being second is very useful when most people are keen to get rid of whoever is first. Very similar seats where the SNP didn’t win in 1974 went Lib Dem instead over the 80s and 90s. The Banffshire seat was abolished/split between a new Moray and a new Banff & Buchan (with most of what was East Aberdeenshire) in the pre-1983 review. Those two new seats were narrowly held by the Tories in ’83 but fell to the SNP in 1987, as did what had become Angus East. All three were lost to the NATS in the anti-Thatcher election on 1987 when the Tories lost 11 of their 21 Scottish seats. There was considerable tactical voting in 1987 and it is rumoured there were SNP pacts (with Liberals in North East Fife and Argyll). Argyll did not go back to the SNP until the 2015 landslide when they took it from the LibDems. Perth and Kinross was lost to the NATS in a by-election in 1995 (on the death of the colourful, tartan-trews wearing Sir Nicholas Fairbairn) while Tayside North fell to the NATS in the 1997 Tory wipeout. Argyll did not fall to the separatists until the 2015 landslide when they took it from the LibDems. Seems about right, although that seems a little generous for Labour. Actually sorry, no 😛 I think notionally it would be around 39/40 SNP. I’m not sure about the Tories but I’d imagine they would be ahead. Tories lose Eastwood and Edinburgh Central due to poor boundaries, although safer seats in Ayr, Kincardine & Deeside and Roxburgh & Berwickshire. In summing that article up they ran a very nationalised campaign in 2015 and 2016 particularly, with less focus on constituencies and more on list seats, and they also ran a targeted campaign of identifying voters who would be more likely to vote Tory (ie. Centrist/Unionist Labour/Lib Dems), and then bombarded them with campaign leaflets. It certainly made sense to target the list seats as I don’t think anybody expected the Tory vote to rise as sharply as it did across the country. It bodes well for the party to make gains in the council elections next year if the increase in vote share is repeated to some extent. The Greens would have needed to take 4% more off the SNP vote than the Conservative vote. It’s worth noting that John Wilson, a local sitting MSP, only won 5.7% for the Greens in Coatbridge, so I’m unconvinced they would have reached 4% in Perthshire South, an area where the Green vote is not significant (although I have not yet seen the regional votes for the constituency). Furthermore, not all of their vote would have come from the SNP, and it’s possible that they may have eaten into the Liberal’s relatively sizeable share of the vote, as well as taking votes from Labour, and perhaps even a handful of green conservatives. If the Green vote went like it did in Central or Kelvin on the constituency vote compared to the list Perthshire South would’ve been in with a chance of going Conservative. I suspect that, with a 6% list vote, and the realisation that this is a 2 horse race, a Green candidate probably wouldn’t cost the SNP the seat. I think the result would have been tight, it’s entirely possibly looking at how Kelvin and Edinburgh Central went. I don’t think a Green vote of 6% on the list turns into 6% in a FPTP race between the SNP and the Tories. And not all those who would vote Green would have voted for Roseanna Cunningham. It would be uncomfortably close, but I think the SNP would squeak it with a Green candidate, especially now people see the seat as a true marginal again. The Greens have a large membershio in Edinburgh City and the West End of Glasgow, and both were identified as long term targets a long time ago. The Greens also have an established council presence in both seats, and two list MSPs whi are strongly identified with the area where they are standing (particularly Harvie). They also had a substantial Lib Dem vote in past elections, which the Greens can tap into, even in the constituencies. Every one of those conditions is absent in Perthshire South. Realistically, the Greens can become the established challenger in Kelvin, and the low vote share required to win Edinburgh Central is never entirely out if reach (as Davison showed). The only other seat where I see similar conditions developing is Edinburgh Northern, where the Greens might have scraped 10% with a strong candidate. I think they could do broadly similarly in most of the Edinburgh seats. The main issue for them would be how their vote holds up in an acknowledged marginal seat. I suspect some people saw them as a free protest vote in Central and Kelvin. There may well be some regrets in Central right now. I’m not convinced that Pentlands, Eastern and Western are fertile territory for them. Under normal circumstances, Southern would be a seat they should be looking to target, especially as they can become competitive on a low vote share, just as in Central. However, as you allude to with Central, the SNP losing the seat may cause many independence supporters to back the SNP over the Greens next time, meaning the Greens will fail to gain a foothold. 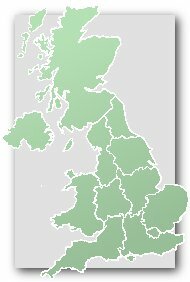 Another area that looks interesting for the Greens is in the Highlands, where John Finnie standing in either Inverness & Nairn, or Skye, Lochaber & Badenoch could immediately put the Greens in contention for at least third place, particularly in Inverness & Nairn where the seat is extremely safe for the SNP. I’ve been trying to locate a breakdown of the list result in each Highland constituency to see where Finnie picked up most of his vote, but to no avail. So Perthshire North had the fourth highest Conservative vote share on the constituency ballot in Scotland in 2016 after Ettrick, Galloway and Ayr at 38.77%: this was followed by Moray and then Perthshire South & Kinross-shire – both SNP constituencies. (1) The Scottish Tories’ fortunes are quite disconnected from the Westminster Tories’ fortunes. They didn’t particularly benefit when the Tories were riding high in 2007-2008 & 2015 and they haven’t apparently suffered from the recent problems of the Westminster Tories. (2) The Scottish Tories can do well IF they run a good campaign. Ruth Davidson was important, but I also think that they had a notably focused and believable campaign strategy/set of themes/positions. They would need to do the same in the locals to achieve comparable success, I think. I suspect they’ll do relatively well but not as well as they did in the Scottish Parliament. The strong opposition to the SNP side of it doesn’t work as well for local government as it does for Holyrood, but the ongoing weakness of the other unionist parties is still a major factor. I disagree with Simon due to turnout disparities: the Tories have always tended to do roughly the same in local elections compared to Holyrood elections, even in 2012. No doubt the local campaigns will follow different lines versus Holyrood, although we should expect them to perform similarly to 2016, although possibly slightly down as with all parties due to Independents. Also it’s important to note that the Conservatives success’ was helped by a complacent Labour Party and a disenguenuiois SNP manifesto. I think that, in the past, there were no reasons to expect the Tories to perform differently in Holyrood and local elections. Now, I think that’s changed because a significant part of their appeal was in providing more effective opposition to the SNP than Labour had managed. That appeal doesn’t apply (largely) in local elections, so unless the Tories can effectively nationalise the local elections then they may not tap into that feeling to the same extent. I suppose the question is whether the new votes that the Tories gained are people who think that the Tory party best represents their views (in which case they will generally vote Tory) or whether they think that voting Tory was the best option for the Scottish Parliament in its current situation (in which case they may vote for other parties in other situations). My view is that a chunk of their support earlier this month comes from people who are voting tactically/rationally on the constitution, and providing stronger opposition – the sort of people Ruth Davidson referred to as not dyed in the wool Tories. I’m not sure that they will all translate as reliable Tory votes in all elections. I think it really comes down to the events of the next 12 months and nobody knows what will happen. If Ruth proves an effective Leader of the Opposition, holding the SNP to account and getting a positive reception then the Tories will probably do well. Similarly the Lib Dems will be looking to build on the modest revival they showed last week as well. The Lib Dems did not have a modest revival. They won a few FPTP seats due to massive tactical voting, but their list vote largely evaporated, and they have very limited opportunities to make further progress in the constituency seats. The Lib Dems campaigned very well in Edinburgh Western and North East Fife to win the seats. A lot of credit must go to Willie Rennie, a party leader who has been underestimated by most, including myself, but who has shown himself to be an astute local campaigner, both through his success in Dunfermline and by winning NE Fife, a seat that was not considered within the reach of the party this time around. Regarding the Liberal Democrats on the whole however, their immediate future does seem to be as a party that relies predominantly on tactical voting, as a vehicle for votes against the SNP rather than support for the actual party, and this places strict limitations on any progress they could make. They finished second in just three seats this year (Caithness, S&R, Argyll & Bute, and Skye, L&B), and their vote actually fell in the latter. What this seems to mean, is that they are now out of the running in all Aberdeenshire seats (with the Conservatives now the main challenger), which supposes an enormous challenge next time around to hold their NE Scotland seat on the list. Of course, the slide in these seats could be halted by a strong tactical voting campaign at Westminster in 2020, where they could hope to secure some of that vote going into 2021 at Holyrood, although Gordon (or whatever seat replaces it) seems the only constituency where they’ll be considered the main challengers and will thus benefit from tactical voting. Nevertheless, 2016 proved a good election for the personal vote, which seemed to have disappeared at the 2015 UK Election. Clearly, Tavish Scott and Liam McArthur increasing their vote share was down to more than tactical voting, and I would argue that Willie Rennie also won a lot of voters round by his strong local credentials. Robert Brown’s also restored much of the Lib Dem vote in Rutherglen, and Willie Robertson increased the Liberal Democrat vote in Perthshire South. Clearly, Ruth Davidson’s personal vote won her Edinburgh Central, and I would suggest that the personal votes of John Scott, Liz Smith and Murdo Fraser also helped them perform well in the seats they were contesting as well. Presumably, negative personal vote was also a factor in Aberdeenshire West and Galloway & W. Dumfries, where the two SNP MSPs fighting the seats were not of the highest caliber of MSP. For Labour, the question of personal vote is more complicated, as Jackie Baillie clearly benefitted through her pro-Trident and pro-Union persona, and Ken Macintosh also avoided a complete collapse (despite finishing third), presumably due to the fact he seems to be well regarded by most constituents. I find Iain Gray’s hold, and Daniel Johnson’s gain, harder to put down to personal vote, in the former case because Iain Gray does not immediately seem personable. Edinburgh Southern, on the other hand, seems to have been won through a strong local campaign that managed to rope in Conservative tactical votes. If you look at the list breakdowns in Eastwood it is pretty evident that Ken Macintosh’s vote was predominantly tactical. Jackie Baillie also reversed the Yes vote in her Dumbarton constituency, so she obviously has something of a personal vote. I’m not sure how Labour’s collapse on the list in Eastwood points towards tactical voting. Eastwood was set up as a three way battle, thus enabling the electorate in the constituency to back whichever candidate they wanted to win the seat (Lib Dems excluded). I’m not sure why Conservative or SNP leaning voters would vote Labour under these circumstances, unless they liked the Labour candidate. Eastwood/East Renfrewshire has never voted Conservative since 1992. Even in 2015 the seat was a two-way contest between Labour’s Jim Murphy and the SNP. Clearly some Tories here were lead astray into thinking the seat was a Labour-SNP battle. Another clear example is the list returns from Edinburgh Southern. 2015 was clearly a tactical vote. I’d argue most of 2016 was too. There is no question that tactical voting was respondible for the increase in the Labour vote in Edinburgh Southern, as both 2011 and 2015 indicated that it would be a two-way battle for the seat, and indeed the Conservatives haven’t been competitive in the seat since the Scottish Parliament was re-convened. In Eastwood, on the other hand, the Conservatives have always been in contention since the very first parliament. Last year, at the UK Election, the Conservatives were starting from over 20% down on Labour, and with the SNP advance it was clear that it would be a Labour-SNP battle. At this year’s election, the seat was 2nd on their target list, with a swing of just over 3% required to win the seat. Macintosh was regarded as an honest, hard-working local MSP, and that is sure to have had some effect on the Labour vote holding up. For the 10% difference in the Labour vote, between the list and the constituency, being down to Conservative tactical voting is fantasy, and isn’t supported by the numbers. Much of the 6.6% Green list vote, for example, is likely to have gone to Macintosh, which is unlikely to have been a result of anti-SNP tactical voting, but rather in favor of Macintosh as a good MSP.